Galvanized coating is a protective layer of zinc applied to a steel wire. These coatings do not affect the strength of the wire, but rather lengthen its lifespan by protecting against rust. Follow along to learn the differences between Commercial, Class 1, Class 3 and Zinc-Aluminum galvanized coatings. While commercial coating sounds like it would be the best option, it is actually considered bottom-of-the-line compared to other galvanized coatings. Commercial meets no standards and does not guarantee any type of warranty. Showing rust within just a couple of years, commercial galvanized coating is the least expensive and shortest-lasting option on the market. Class 1 coating alone does not meet ASTM (American Society for Testing Materials) standards, which identifies how much zinc is required to ensure quality and safe use. However, sharing with cross-fencing does meet the standards. Depending on your location, Class 1 galvanized coating will last 8-12 years before starting to show rust. Areas closer to the coast will see rust quicker because of the salt content, while dryer areas will last longer. 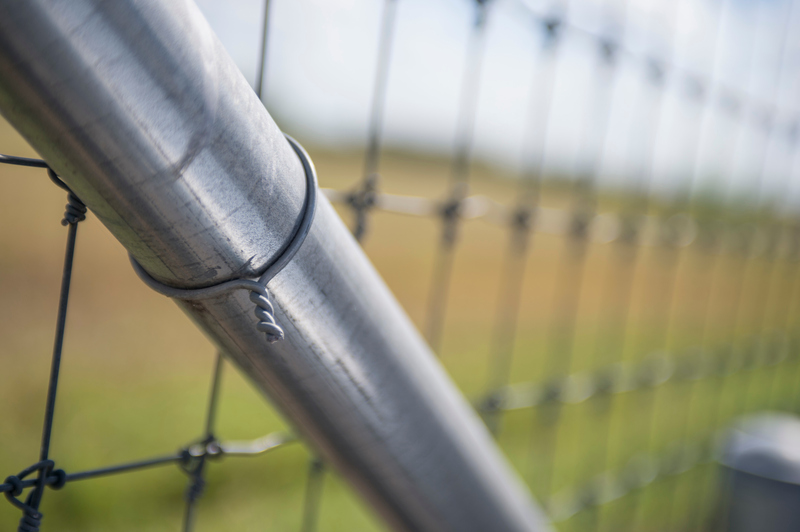 Found on Gaucho and Solidlock products, Class 3 galvanized coating will give you around 25 years of life, depending on where the wire is located. Again, areas closer to the coast may experience a shorter lifespan, whereas areas farther away will allow a full 25 years. Made up of 95% Zinc and 5% Aluminum, Zinc-Aluminum galvanized coating is divided into two separate classes: Class 20 and Class 40. Zinc-Aluminum Class 20 is going to last about 25-30 years, while Class 40 is going to more than double the life of a Class 3 product, lasting 50 years. Our products are the only ones in the industry with a 50-year warranty, so keep that in mind when shopping for your new fence or wire! You cannot paint products made of 100% Zinc, because the paint would inevitably flake off; but with a mixture of Aluminum and Zinc, the paint will adhere to the product. Typically found in black or green, wire is painted purely for aesthetic reasons. The paint may provide a small layer of protection, because salt and other elements will have to get through the paint first before affecting the Zinc-Aluminum. We hope this guide helps you to familiarize yourself with the different kinds of galvanized coatings that are available on the market today. Learn more about our galvanized coating technology here.